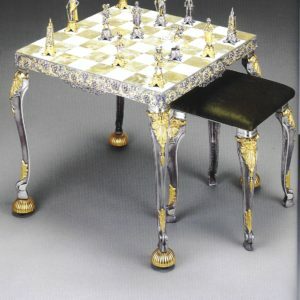 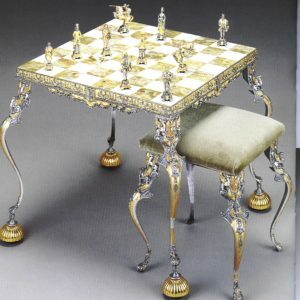 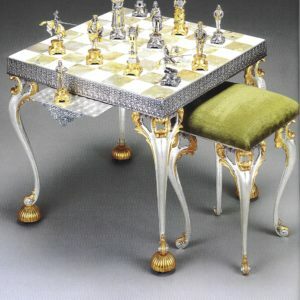 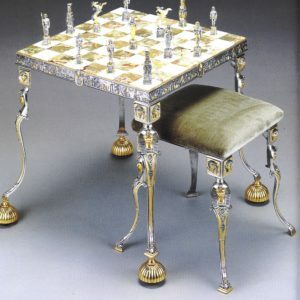 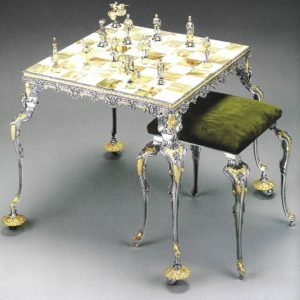 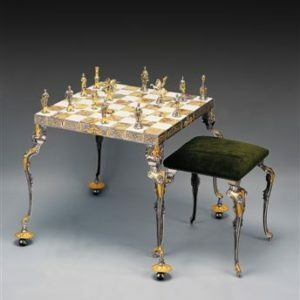 Benzoni Sculptor Luxury chess set: chessmen, tables chairs. 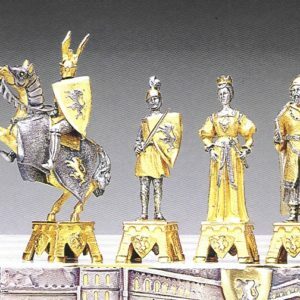 The best Italian chess sets handmade gold and silver finished. 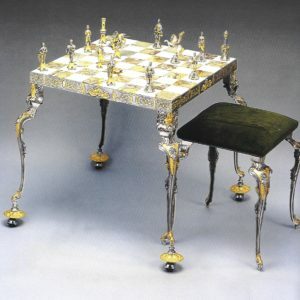 Each piece is signed and completely created by the expert hand of an artisan. 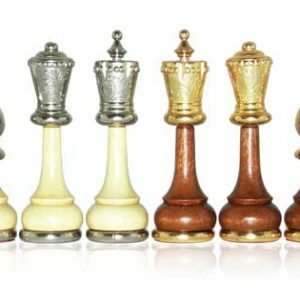 In you are looking for the Best, for the excellence, for exclusive chess set, here you will find your chess set!